Surprising no-one, the number of shipped iOS devices has overtaken Windows devices in 2015. The number of iOS devices shipped equalled that of Windows PCs just last summer, but this is perhaps the final blow in the post-PC world that Apple’s been predicting (and promoting) for some time now. Asymco analyst Horace Dediu sent out the following chart on Twitter that shows the continuing trend in detail, comparing Windows PC shipments to iPad, iPhone, and Mac units shipped. Check it out. 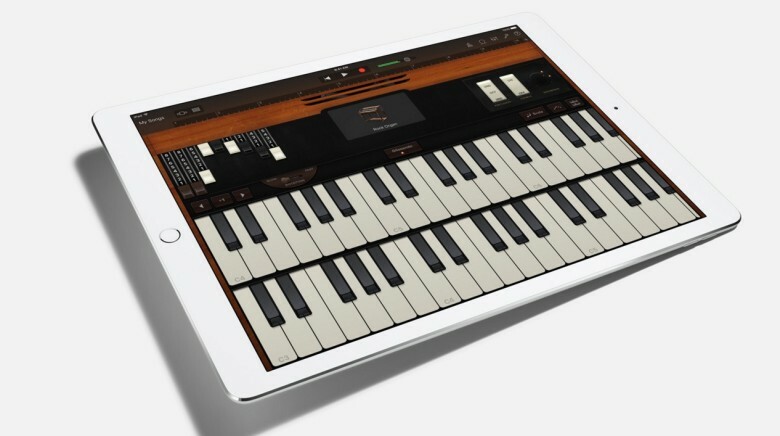 iOS has finally surpassed traditional PC shipments. PC sales have been declining market for a while now, and Android devices are on track to overtake Windows PCS, as well, but it’s the first time Apple’s own mobile devices have taken the lead. The chart from Asymco shows that iPhones have sold more than 300 million units, while iPads declined to about 60 million units moved, for a total of 360 million iOS devices (Windows is only estimated at 276 million sold). Apple should announce the final numbers near the end of this month, but we can be confident that the total iOS devices will continue to be ahead of Windows PC shipments even then. Windows PC sales continues to decline, with analysts claiming a 10 percent overall drop in sales across 2015, making it the first year since 2008 where the units shipped dropped below 300 million. It also helps that Apple has a firm 75 percent of its mobile devices on the same iOS 9 platform, making it a consistent experience for consumers. 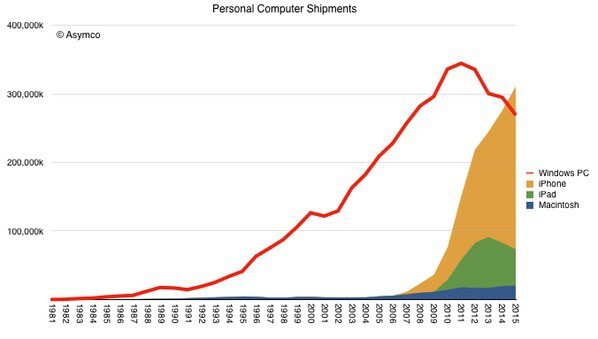 If current trends continue (and there’s no real guarantee of that), Dediu humorously predicts that Mac units shipped will overtake Windows PCs in about 12 years, so we have that to look forward to.